Flight controllers are arguably the most important part of a drone. It is the brain, taking data in from a range of sensors and acting on them to keep an aircraft flying safely. The way a flight controller functions can mean the difference between athletic and laggardly flying or reliable vs unreliable. 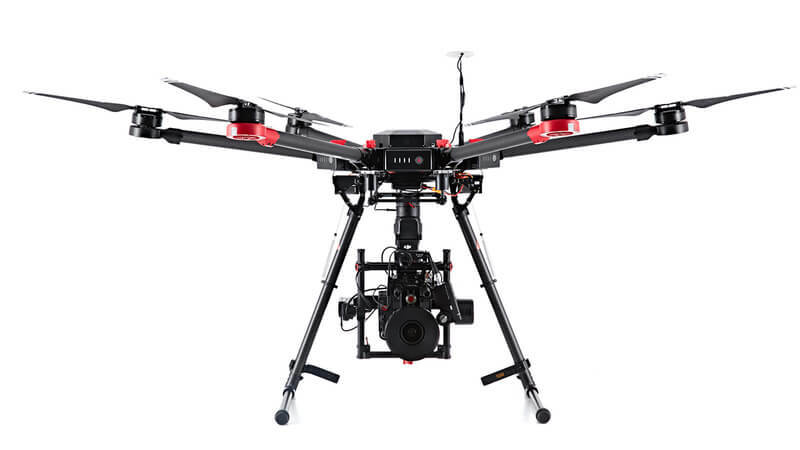 With over 10 years of expertise, DJI has refined flight controllers to peak performance. Here are 5 reasons that DJI flight controllers are the most advanced in the consumer drone space. All DJI flight controllers are designed using advanced control theory to achieve unparalleled responsiveness, accuracy and reliability. System dynamics and thousands of variables that could occur in flight have been extensively modeled and identified to ensure that flight is easy and stable in any scenario. Based on quantitative feedback theory and a hyper-accurate 2DOF (two degrees of freedom) controller architecture, flight controller performance and reliability are simultaneously disconnected and optimized. The use of uncertainty modeling and real-time system identification allows the controller to adapt to system failures and minimize their impact. The entire flight controller system is made up of a plethora of sensors for gathering flight data. Each sensor has independently been refined to maximize accuracy and reliability, and data is backed up by related sensors. For instance, GPS and barometer both capture altitude information. The system utilizes all sensor information to get best estimate of the status of the entire system. Additionally, many differently configured algorithms are running simultaneously to cross check all information and provide another layer of redundancy. This allows a DJI flight controller to identify and even bypass faulty or malfunctioning modules to ensure flight stability. Critical sensors are redundant, working together with analytical redundancy and advanced diagnostic algorithms, the flight controller compares the data stream coming from each sensor and validates them. In the event of sensor failure, the system seamlessly switches to another to maintain flight control reliability. the flight controller features an integrated distributed fault diagnosis and situation assessment system that allows the aircraft to reconfigure itself or adjust its flight plan in the event of a failure. It constantly monitors data from the navigation system, propulsion system, power system, and wireless communication system in real-time, allowing the aircraft to maintain consistent, reliable flight. A suite of Intelligent Navigation features are built in to DJI flight controllers, making flight easier for all users from consumer to industrial. These include Course Lock, Home Lock, Waypoints, Point of Interest and GPS based Follow Me. Intrigued by the look into the workings of your drone? Check out the previos installments of Inside a Drone where we've covered ESCs, propellers, and brushless motors.